I would really appreciate it if you could identify this ant for me. They are 2.5 mm in length while the major workers are about 4.5mm. They are more dark brown than black . They seem to go for things like crumbs, odd bits of nuts, egg, meat and dead insects that may end up on the floor - they do not go for my sugar bowl or anything else that is sweet. 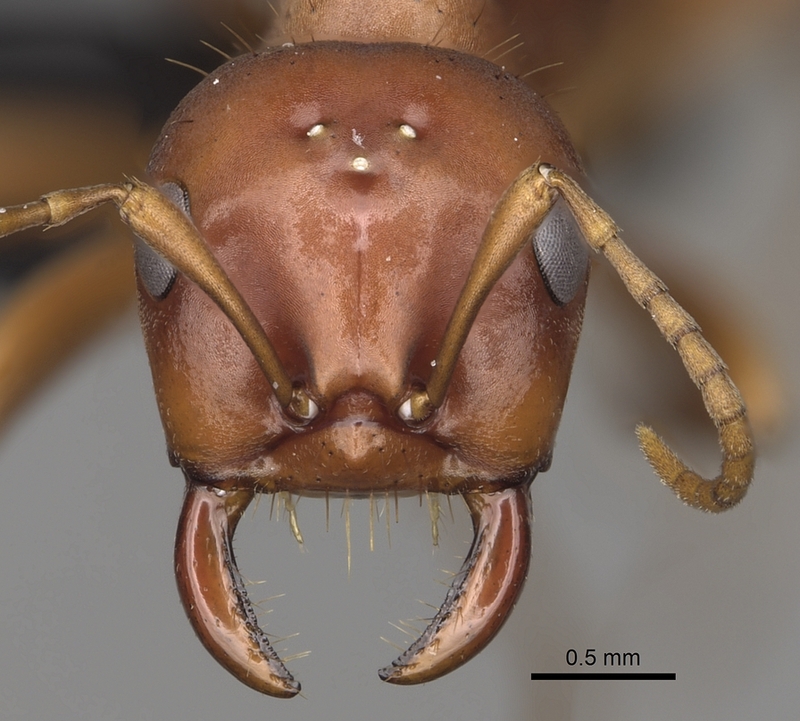 Looks like good old Pheidole megacephala - the only other possibility would be Pheidole tenuinodis, which also occurs in the region (not possible to tell the difference from these pictures, but in my experience it is almost invariably P. megacephala that becomes problematic in this area). P. megacephala is one of the two commonly annoying ants in Gauteng (the other is Lepisiota incisa); they handle disturbance very well and can completely dominate the fauna of a property. If control is needed a slow but effective method is AntTraps (placed near the nest entrances) which contain a bait that is carried back to the nest and kills off the queens (of which there may be hundreds). Eventually the colonies die out, though this may take several months, possibly requiring replacement of the traps for big infestations, and involves a rather distressing phase where thousands of disoriented workers (both major and minor) mill around on the surface, apparently having lost direction after all the queens have died....the advantages are that it is very directed, affecting only the targeted colonies and leaving the rest of the ant (and other insect) fauna unharmed, and seems to have a longer-term effect than other methods such as applying liquid poisons into the nests. Copyright © 2015. AntBlog is powered by Movable Type Pro.